When examining the Huawei P8, and any of its siblings, for that matter, we really have to take into account the custom nature of their internals. Huawei has been straying from the herd and relying mostly on its custom Kirin architecture, courtesy of HiSilicon. So, even though, the ARM Cortex A53 cores, found it the handset are more or less standard, their performance and power consumption is slightly different from what Qualcomm or Mediatek offer. 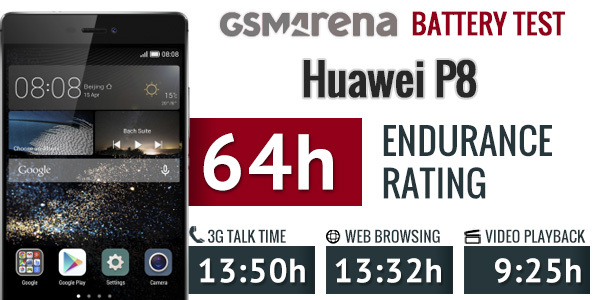 The Huawei P8 bested its predecessor in the talk time test, but the difference is pretty negligible – P8 pulled 13:50 hours of call time on a single charge, which is less than 30 minutes better than the P7. The two smartphones are a lot further apart in terms of video playback. The Huawei P8 managed to last for the respectable 9 hours and 25 minutes, playing our test footage. On a global scale, this is an above-average result and the number constitutes a whole hour improvement over the Ascend P7. The best result was yet to come and it was the amazing web browsing endurance the Huawei P8 showed. The phone lasted the very impressive 13:32 hours browsing the web. Of course the low brightness at 50% is partially explaining that score – you should expect to see slightly less in real life if you need higher brightness. Plus, the custom-made browser bundled with EMUI 3.1 might be light and efficient, but it performed pretty poorly in both Kreken 1.1 and BrowserMark 2.1. Last, but not least, our test also measure standby and the Huawei P8 managed to stay on for 176:28 hours on a single charge, helping the Huawei P8 achieve a total of 64 hours of endurance. 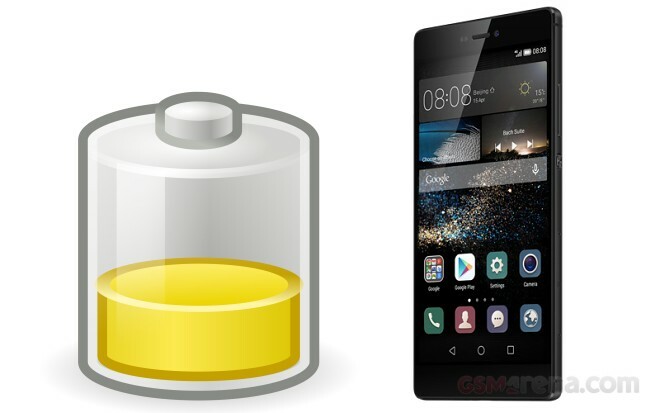 An important thing to note is that Huawei has showed a steady pace of improvement in respect to battery life on its devices and the P8 outshines its predecessor – the Ascend P7 in every test we ran.